The renin-angiotesin system (RAS) was initially recognized as the body’s most powerful hormone system for controlling body fluid volumes and arterial pressure. Then, it was shown that the RAS operates at both systemic (endocrine) and tissue (local) level. Development of ACE inhibitors proved that the RAS is effective in controlling hypertension and heart failure, and in preventing the vascular injury in chronic diseases. The success of ACE inhibitors stimulated research into inhibitors of other components of this system. Major challenge in the future will be to utilize the technological advances for better understanding the physiology and pathophysiology of the RAS, and to develop new therapeutic paradigms. 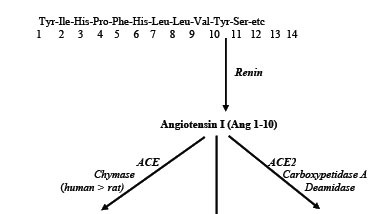 This article briefly reviews the research in this area, and points out the seventieth anniversary of angiotensin.